Driving home a brand-new MG is now made even easier with the Hello, MG! Introductory Promo—MG Philippines’s introductory low-down payment offering which runs until December 31, 2018. For as low as 78,000, you can drive home a brand-new MG together inclusive with a 5-year or 100,000-kilometer warranty from newly appointed distributor, The Covenant Car Company, Inc. (TCCCI). The Hello, MG! 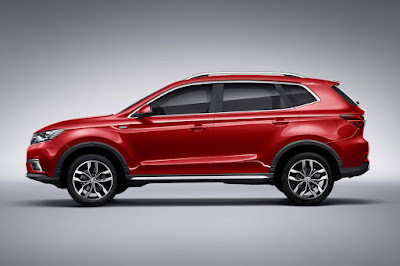 Introductory Promo applies to the 2019 MG ZS Style MT and AT, and Alpha AT variants; the 2019 MG RX5 Core MT and Style AT variants; and the MG 6 Alpha 7TST and Trophy 7TST variants. The Hello, MG! Introductory Promo is honored by all MG dealers authorized by The Covenant Car Company, Inc.
Aside from its generous warranty, new MG owners will also have access to a host of unique aftersales services that will make owning and maintaining these cars a breeze. These include a string of independent, MG Philippines-accredited service outlets manned by MG-trained technicians, and a “Mobile Garage” service that will allow MG owners with technical concerns to have their units serviced in the comfort of their own garages. MG Philippines is also implementing a host of other innovative service platforms including “One-Hour Max and Go,” which is a speedy, one-hour basic preventive maintenance service; a customer care hotline that is available 24/7; “MG HERO Services,” which offers 24/7 roadside assistance; and “Mobile Gadget,” which allows users to pair their MG to a proprietary smartphone app so that they can closely monitor their car’s running stats, and allow them to schedule a service appointment online from the convenience of their phone. Perks aside, MG Philippines points out that the cars themselves are the true stars. They are all impeccably styled, representing a new era of modern MGs. They also feature spacious and ergonomic cabins finished with high quality materials and are fitted with the latest in driver assists and safety features making every journey in any of these modern MGs a safe and enjoyable one. If you’re 40 and above, you don't need to apply they might outright deny you as this brand is "Only for the young" lol.